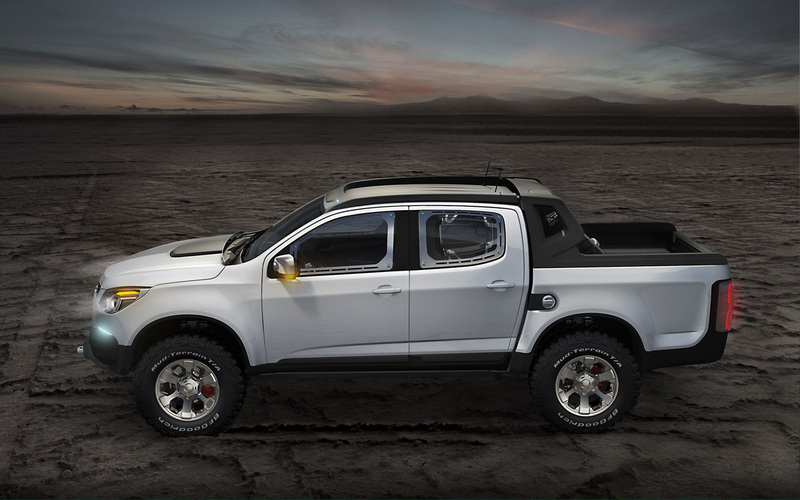 The production version of the next-generation Chevrolet Colorado has yet to be revealed, but auto show crowds in Argentina are getting a peek at the possible lines of the upcoming pickup. 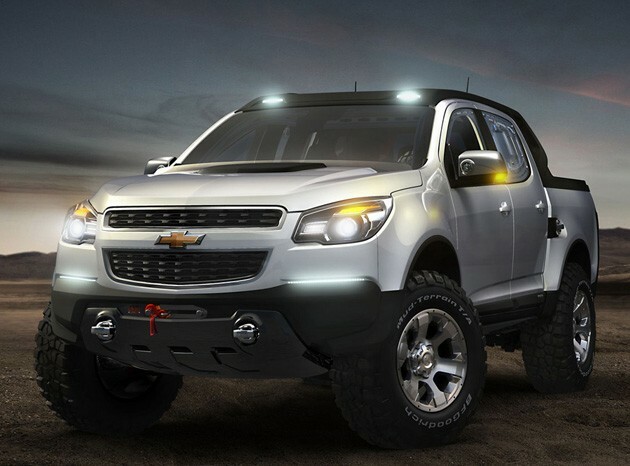 Chevrolet is picking the Buenos Aires International Motor Show as the stage on which it will show off its new Colorado Rally Concept. An aggressive and strong style are the immediate visual cues given off by the Rally Concept, which is meant to handle some serious off-road driving. A pair of integrated winches (one up front and one out back) will help should you actually manage to get the Colorado Rally Concept stuck. That ought to prove to be a difficult task, thanks to the 305/60R18 BFGoodrich Mud Terrain tires, long-travel suspension and 2.8-liter diesel engine. 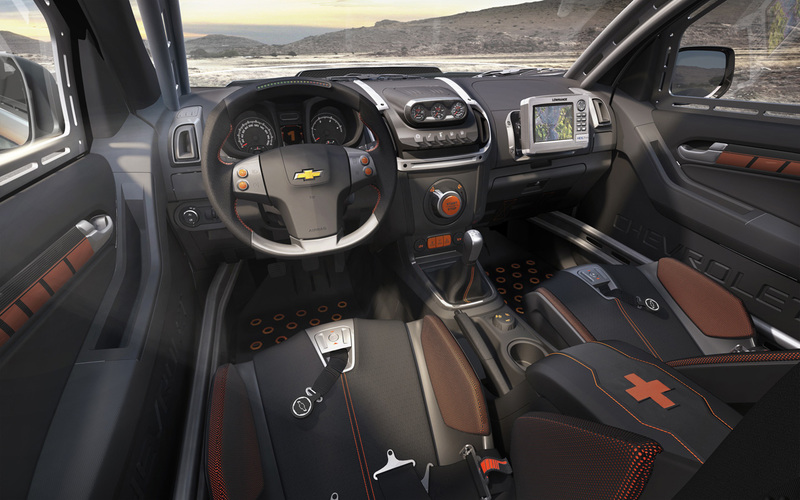 Keeping up the aggression, the interior of the Chevy Colorado Rally Concept is equipped with racing seats and five-point harnesses. The driver or co-driver can adjust tire pressure and suspension settings from the cabin, while either can also enjoy some fresh air from the vents cut into the acrylic side windows. 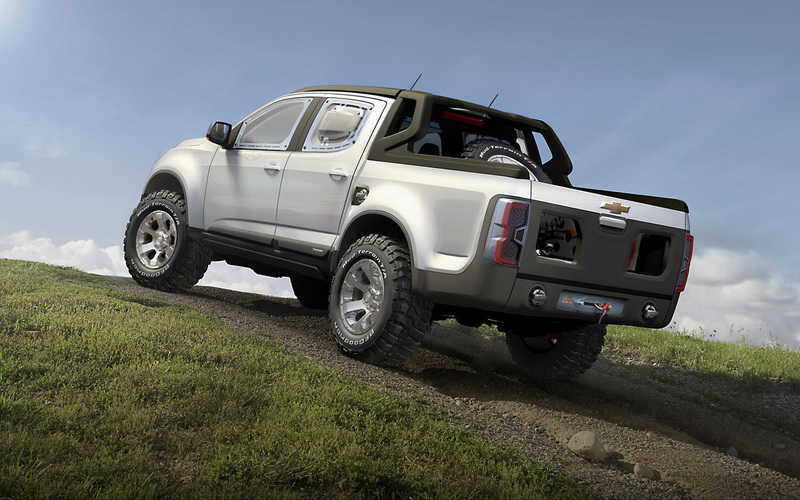 To say that this truck is built to run off-road is an understatement. Make this truck. And sell it in the States. Please.